When the originators of the venerable Asheville Original Music series—bassist Mike Holstein and drummer Justin Watt—teamed up with pianist Dr. William Bares (Harvard ethnomusicology Ph.D and professor of music at UNC Asheville) five years ago to create a working jazz piano trio, the result was a new musical concept that has blurred the lines between art and entertainment, structure and spontaneity. 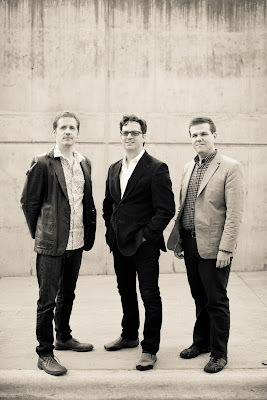 The Asheville Art Trio has has evolved a sound that combines elements of world music, Americana and jazz. The group joins dazzling classical technique and soulful sounds with an orientation toward beauty that can be described as both consciously artistic and quintessentially Ashevillian.